Robots just look better when they move without help. Power yours with a variety of VEX EDR rechargeable batteries. 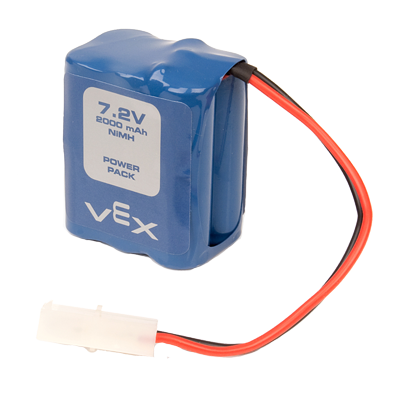 The VEX EDR 7.2V Nickel Metal Hydride Battery provides a rechargeable power source for use with your VEX EDR robots. WARNING: Make sure your charger is capable of charging NiMH Batteries. If using a VEX EDR Charger, the VEX EDR Smart Charger MUST be used to charge this battery and it MUST be on the SAFE setting! DO NOT use the discontinued VEX Fast Battery Charger to charge NiMH Batteries. The VEX 7.2V Nickel Metal Hydride Battery provides a higher-capacity, rechargeable power source for use with your VEX EDR robots. 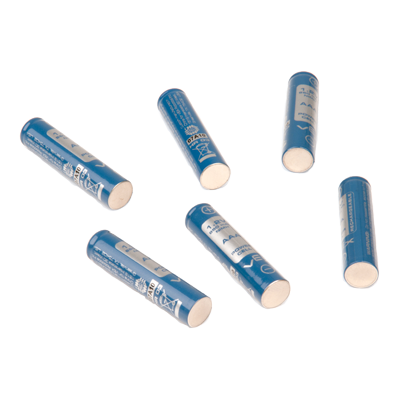 This is our recommended battery for VEX EDR robots. WARNING: Make sure your charger is capable of charging NiMH Batteries. 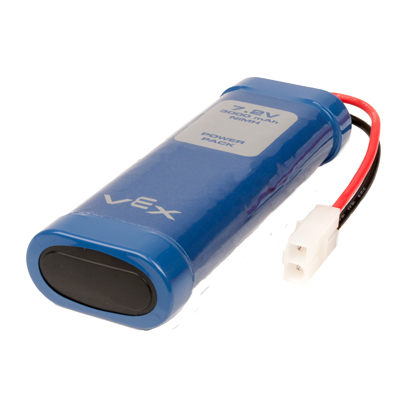 If using a VEX EDR Charger, the VEX EDR Smart Charger MUST be used to charge this battery! DO NOT use the discontinued VEX Fast Battery Charger to charge NiMH Batteries. 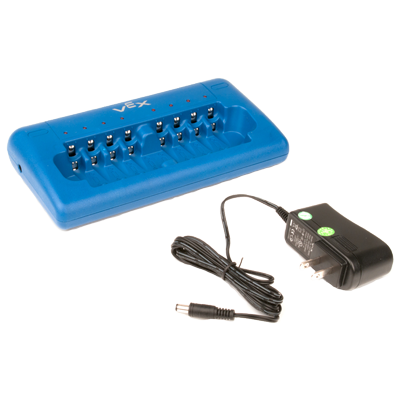 The VEX Smart Charger v2 is capable of charging all VEX EDR rechargeable power packs. 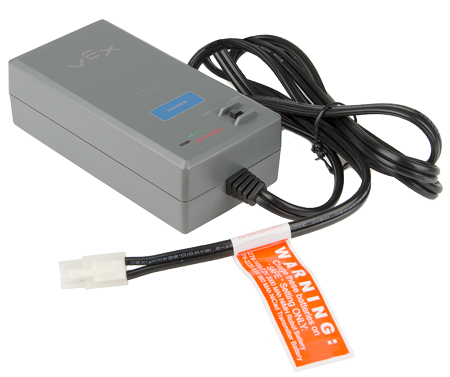 WARNING: The VEX Smart Charger MUST be on the SAFE setting to charge the 7.2V Robot Battery NiMH 2000mAh, P/N: 276-1456. The Smart Battery Charger is capable of charging up to eight Ni-MH or Ni-Cd rechargeable AA or AAA batteries. Smart Charger technology provides automatic trickle charging and temperature cutoff during the charge cycle while LEDs provide user feedback on the status of each charging battery.